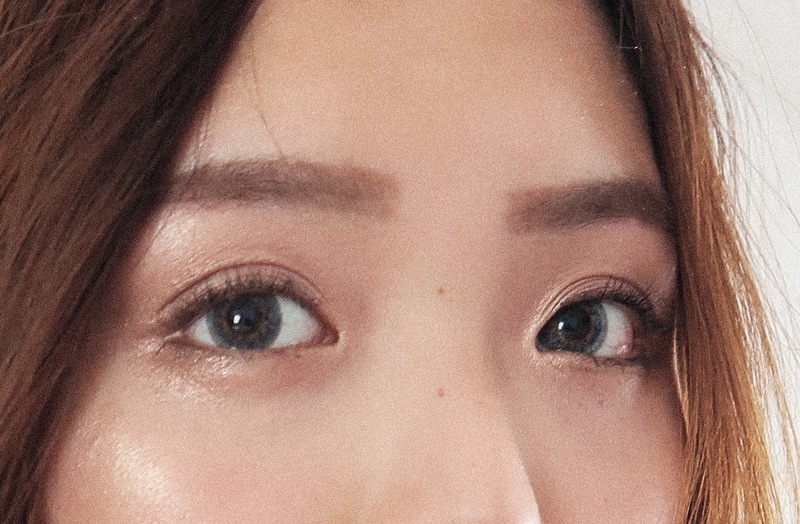 I used to spend all of the money I earned from my part time job on circle lenses and now that I think about it, it was such a waste! I would literally put them on, snap some pictures and then put them back into their cases — it was rare for me to wear them out of the house. Black, blue, brown, pink, purple, green and grey were the colours I had tried — had to skip the red and white because they were way too out of the ordinary for me! Grey was definitely my favourite colour for lenses though. It's not exactly a natural shade, but it can appear subtle depending on the design...for example the ones featured in this post. 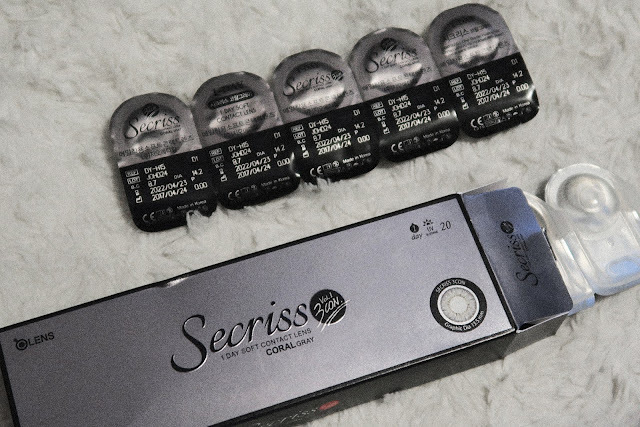 I recently purchased a pack of 1-day lenses from a Korean brand 'O-LENS' and it's from the Secriss range. One pack comes with 20 individual lenses and I went for the 1-day type, simply because taking care of them requires less effort and I know I'll only wear them occasionally. They feel a lot more comfortable than the lenses I used to wear from GEO, EOS and G&G...it's like they're a lot thinner, like soft lenses. This design has a 14.2 diameter and the colour is coral grey, so they don't look ridiculously unusual. In fact, they're quite hard to notice unless people are looking at you from a close distance. I think they look pretty and add a nice touch to my makeup. There's also an added bonus of UV protection, which is pretty cool. Have you tried coloured lenses before?